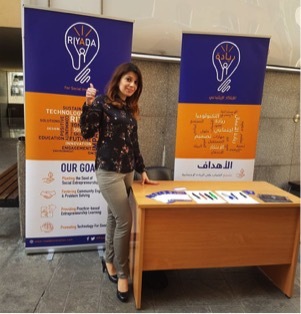 Riyada participated as an exhibitor and a workshop facilitator in the “Future Trends in Technology Day” at the Lebanese International University in Beirut with the attendance of Management and Information System Students from all over Lebanon. 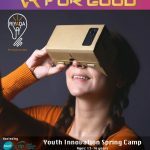 The founder of Riyada conducted a workshop on “Technology for good…the need for social innovators”. Many students visited the Riyada booth and learned more about how the a social enterprise is working on social innovation education for the youth.